We have a few recent firsts…. This is a triplet feeding table. Pretty darn cool! I don’t have three trays on high chairs to clean and they love to sit in it. Bought this from a triplet mom in Tulsa (her babies are now 4). I tell you what, this triplet community is not a small as I think at times. It feels like a little secret society. Every now and then, someone will pop up and email me or I am introduced to someone new with a trio. First trip to the OKC Zoo! I think Daddy and I enjoyed this more than the girls. It was a beautiful day and a great first trip. I think we felt like we may be an attraction as well. Trust me, the lions, tigers and…well, you get it…are way cooler than us. 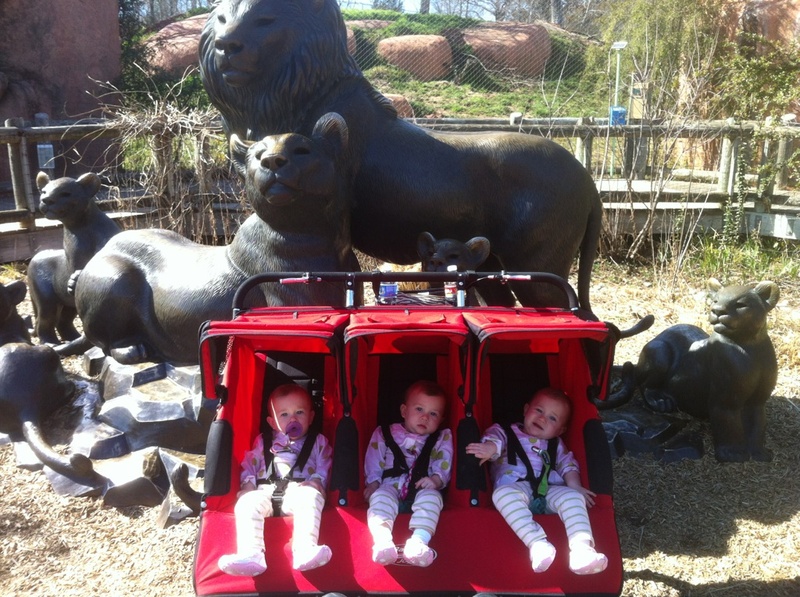 But, we did let people witness what it is like trying to get a triplet stroller through very narrow walk ways. We had a nice Daddy help us get down a set of stairs because the stroller would not fit down the ramp. But, we conqueored and won! Score for the Coys! And lastly, these are just some pics I took with my camera around the house…Oh how I love these sweet faces! 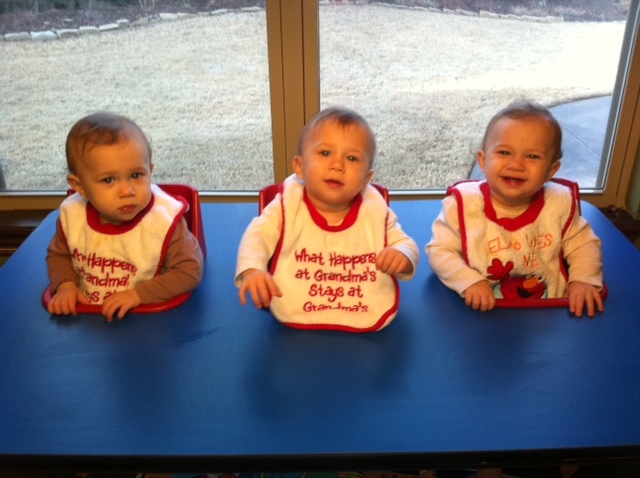 First two (left to right) are Avery, next three are Camdyn and last three are Emily…. ← 1st Birthday: The Party! They are so precious! LOVE the cake eating pictures!